Orders for Apple's latest tablet are now live on the company's online store. The new iPad, which replaces the iPad Air 2, starts at $329 and retains its predecessor's specs aside from an upgraded processor. Apple's online store is now accepting orders for the new iPad. 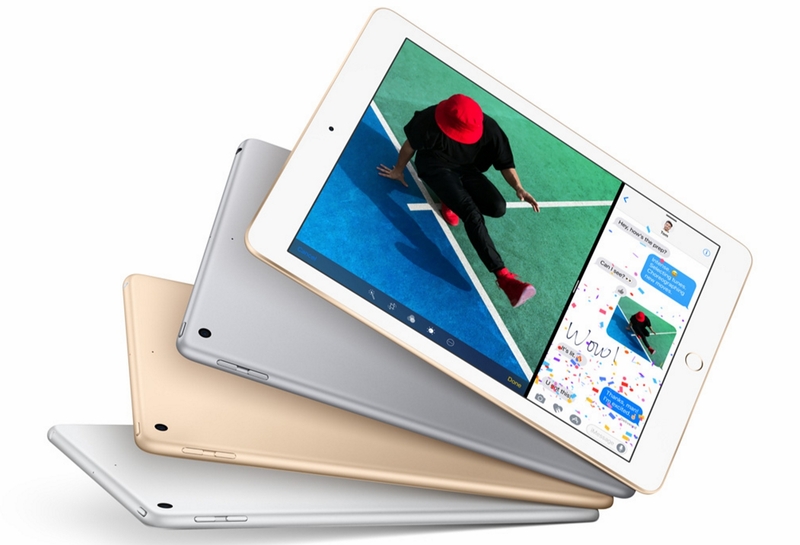 This latest iPad, which was quietly announced earlier this week, replaces the iPad Air 2. It features an Apple A9 processor which provides improved performance, making it second only to the iPad Pro which sports an A9X. Otherwise, the specs are unchanged. These include a 9.7-inch, 2048 by 1536-resolution Retina display; an 8-megapixel rear camera and a 1.2-megapixel front camera; and Touch ID. WiFi-only as well as cellular-capable iPad models are available; both come with a 32 GB or 128 GB storage option. Pricing for the iPad starts at $329 for the entry-level, WiFi-only 32 GB model, and $429 for the 128 GB model. A 32 GB cellular-capable iPad costs $30 more, or $459; upgrade to 128 GB and you'll have to pay $559. Regardless of which iPad you choose, there are three finishes available—silver, gold, and space gray. Although the new iPad is currently only available online, Apple says that its retail stores and Authorized Resellers, as well as select carriers, will sell the device starting next week in the US and several other countries. Online customers should begin to receive their iPads starting next week as well. With its latest product launch, Apple marks a turning point in the way it prices its devices. 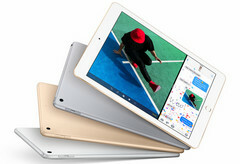 The new iPad's low starting price makes it the least expensive full-sized tablet the company has ever released; the original iPad Mini also launched with a $329 price tag, but featured half the storage capacity and a much smaller overall size. All eyes will likely now shift to Apple's pricing strategy for its upcoming iPhone, which has been rumored to cost up to $1,000—quite a big ask, even for a premium Apple phone.